Rabbi Azariah dei Rossi wrote a sefer called Meor Einayim. It was/is a controversial book which the Maharal famously argued against in his book Be'er Hagola. There is an English translation of Meor Eiynayim available here. 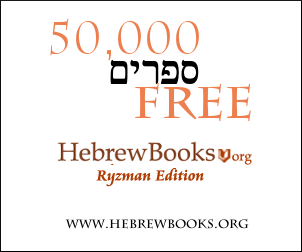 I want to know if the full Hebrew version is available somewhere? If you open them you will be presented with an option to order a print version from an external site. For example, here is a link to the buying page for one of the editions. Note that not all the editions have an available reprint for sale. The one linked above, obviously, does. Where can I get the full set of Shadal's commentary on the Torah? Does anyone know where one can buy a hebrewbooks harddrive? Where can I buy kosher Tefillin scrolls? Where can I buy Or Hashem? Where can I buy the sefer Imros Tehoros?